Who doesn’t love flipping a good “flea market find”? 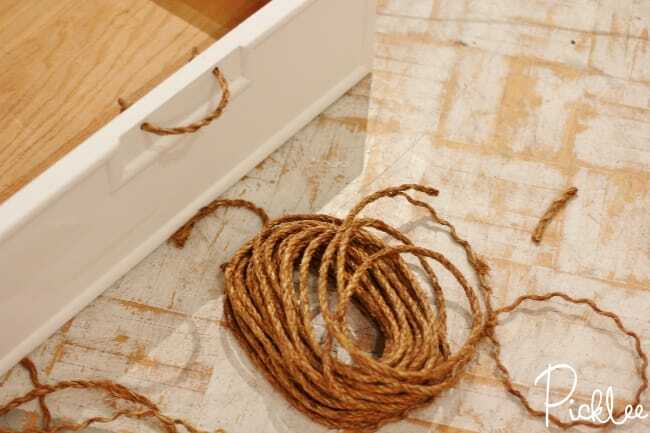 Flea market finds usually come old, dirty, and dirt cheap, which always makes for the BEST transformations… but what do you do when your flea market find is missing all or some of it’s hardware? 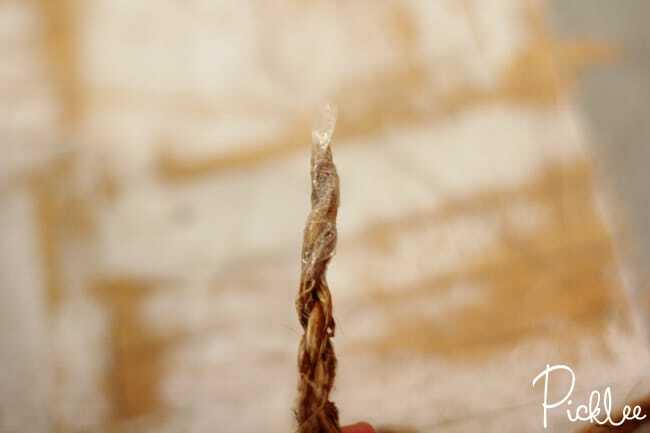 Usually, if it’s missing a knob or two, it’s a simple fix. We can always find a replacement knob, or purchase a set of all new knobs…no big deal. The real kicker is when you’re piece is missing very specific handle pulls. 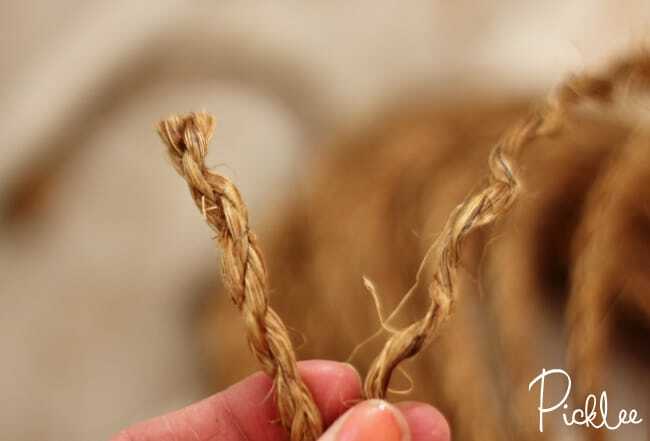 Replacing handle pulls can get sticky because this leaves you searching out new hardware with the exact same hole spacing. When this isn’t an option for you, there’s a perfect solution! 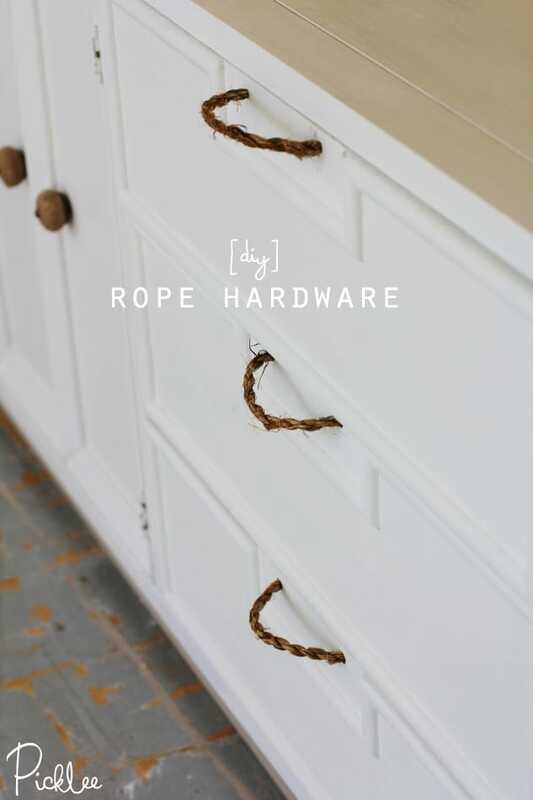 DIY Rope Hardware can be customized to fit ANY spacing on an old piece, AND it’s super simple & inexpensive! 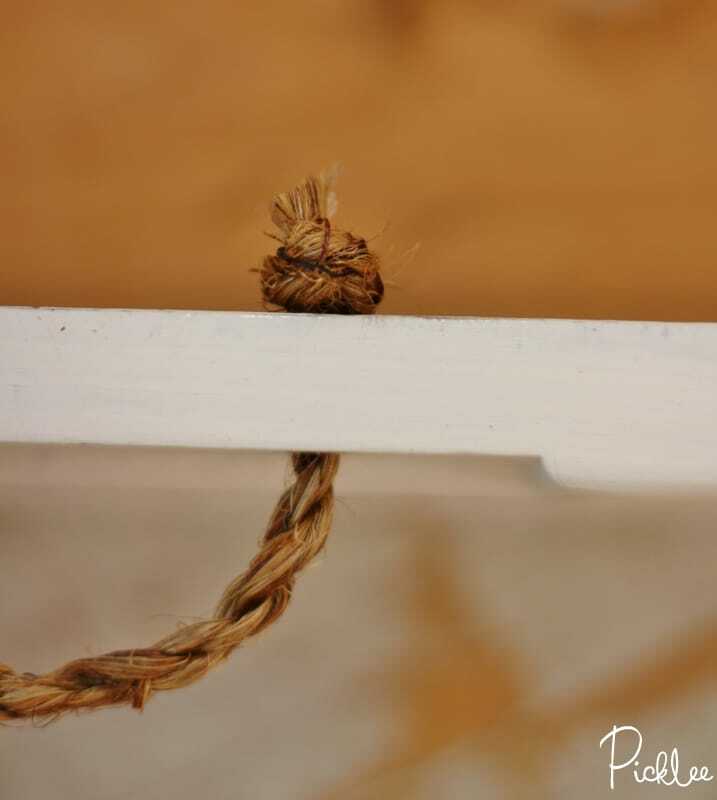 For this project, all you’ll need is a roll of woven rope. Hit up the local hardware store and pick your favorite color & size, there’s usually a few different options! It’s as simple as that! 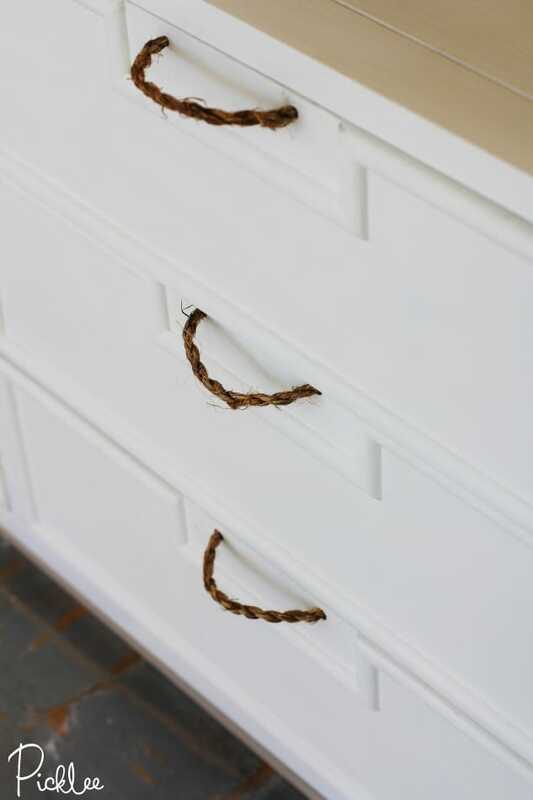 Our flea market dresser now looks super chic & nautical with it’s fabulous new DIY rope hardware! 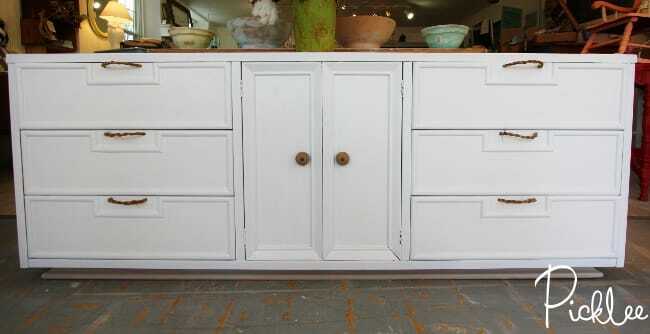 Find more flea market find projects here!